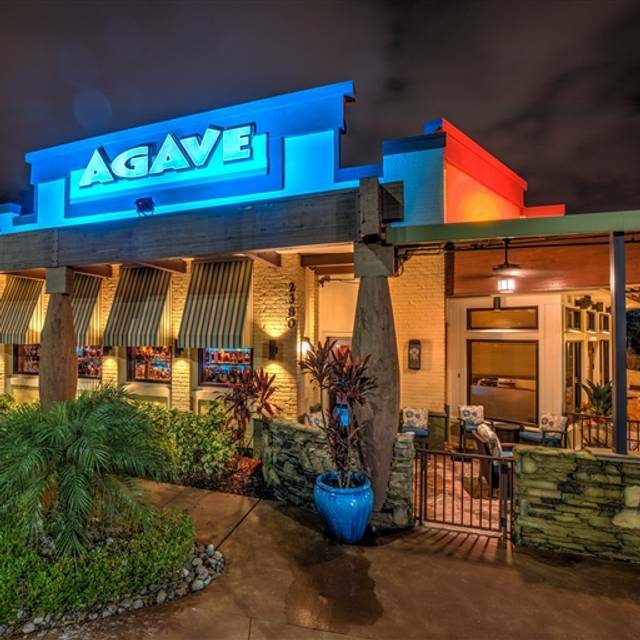 You must make reservations at least 5 minutes in advance of the time at Agave. Whatever the occasion is, Agave can assist you with planning every step of the way. We make any event memorable with excellent service, delicious food and unparalleled hospitality. 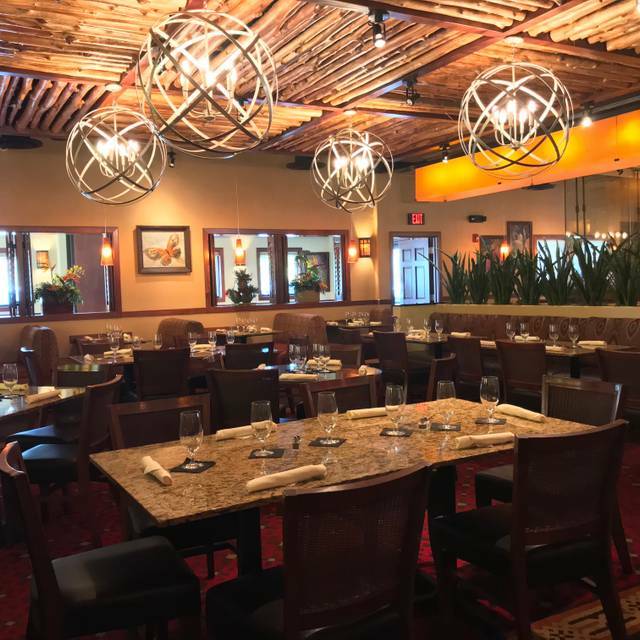 Agave offers versatile dining areas to suite your needs. Being Naples Better Mexican Restaurant means that your tortillas, empanadas and enchiladas are hand-made fresh every day. It guarantees that we are fire roasting vegetables every morning for our house made salsa. It specifies that we will use 100% black Angus beef, antibiotic free chicken, and wild caught shrimp and fish. It promises that Agave slow roasts the meat for melt in your mouth tenderness and flavor. 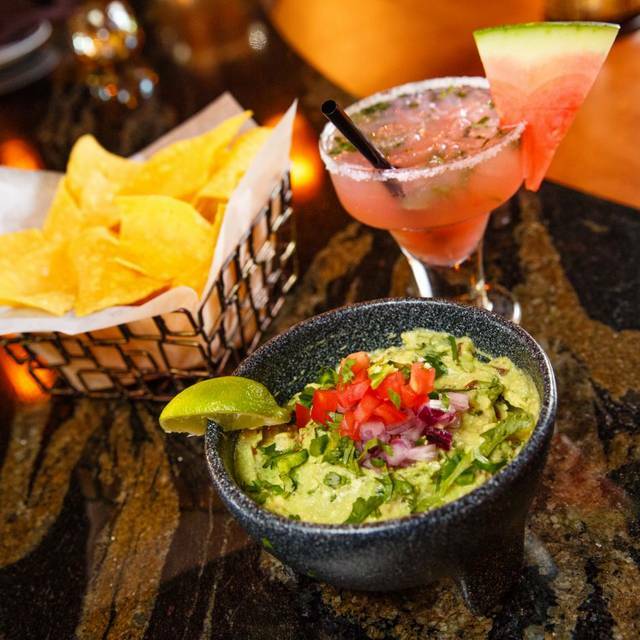 Being better means our signature guacamole is made right at your tableside and that your desserts will be baked from scratch. In our lounge, the fiesta continues as our guests are served specialty margaritas, crafted cocktails , Wine Spectator award-winning wines and a plentiful selection of beers. 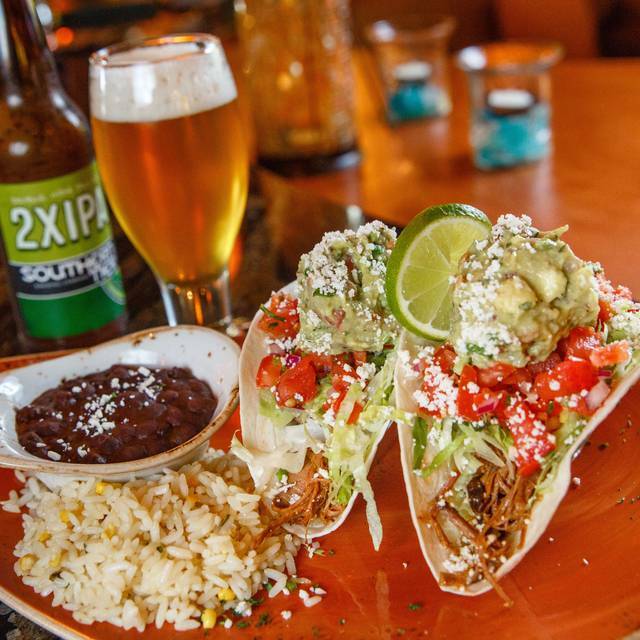 Happy Hour is celebrated daily from 4pm-6pm with 1/2 price drinks and appetizer specials and on select evenings Agave offers live music. Agave has three private dining areas, all with state-of-the-art audio/visual capabilities. Given a nice tour by hostess when being seated. Best cheese enchiladas ever. Good selection of tequila and mezcal. Live duo played good music. Very knowledgeable and helpful with our food allergies. Food was very good. However, were seated in an area that didn’t look like it was being used away from the main dining areas and the restaurant was not full. The ambiance wasn’t great for that reason but otherwise the meal was good and service was great. We ate chicken fajitas from the early bird menu. Delicious. Marguerita, salad and dessert included. Each presented creatively and tasty. Agave never disappoints. This time we were there early and sat in the Happy Hour section. Drinks were great as was the food. We will always return. Last year we had lunch there but this time only opens at four. It’s s drive for us but we’ll worth it!! 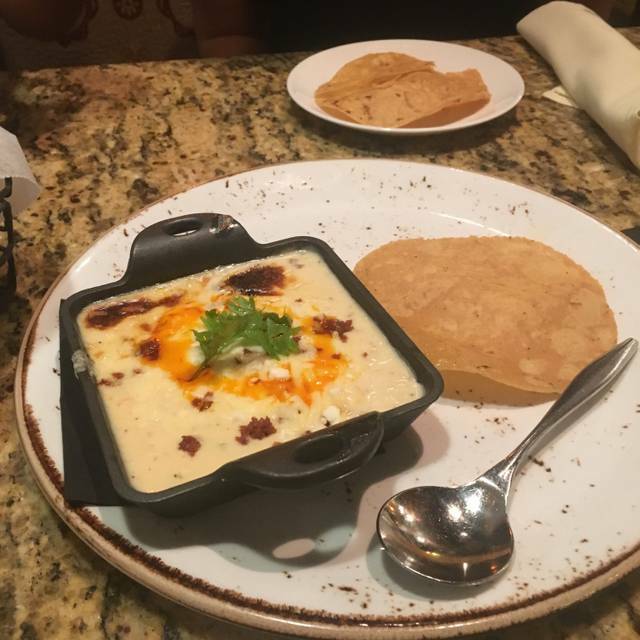 We always love the food and service at Agave. However this time the service was poor. It really wasn’t very busy and it took a very long time to get our drinks. We are always greeted with a basket of chips and salsa. Had to ask for them this time as the waiter left quickly after presenting our drinks. We invited another couple with us to introduce them to the restaurant. Too bad they had to experience this. Waiter just not attentive to our table. Just as we arrive there seemed to be a large number of parties seated...Our waiter was strung out across three rooms and way too many tables. Forty five minutes later I approached the Manager and she was right on the issue. The food was outstanding as were the margaritas- so many choices! Portion sizes are just right and the paella leftovers were very good the next day. We' be back for more! Best Mexican food we have had since we lived in Mexico. 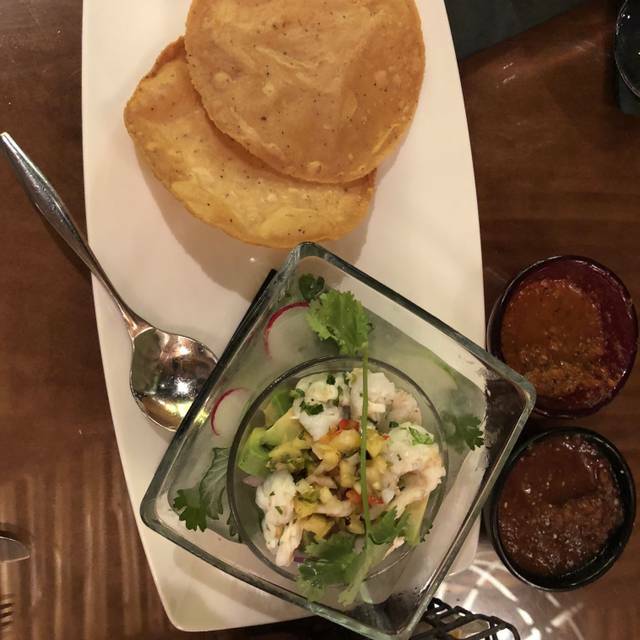 House made tortillas and excellent salsa. We will go back. Delish! From the second we walked in to the second we left- perfect! Everything in between - Devine! 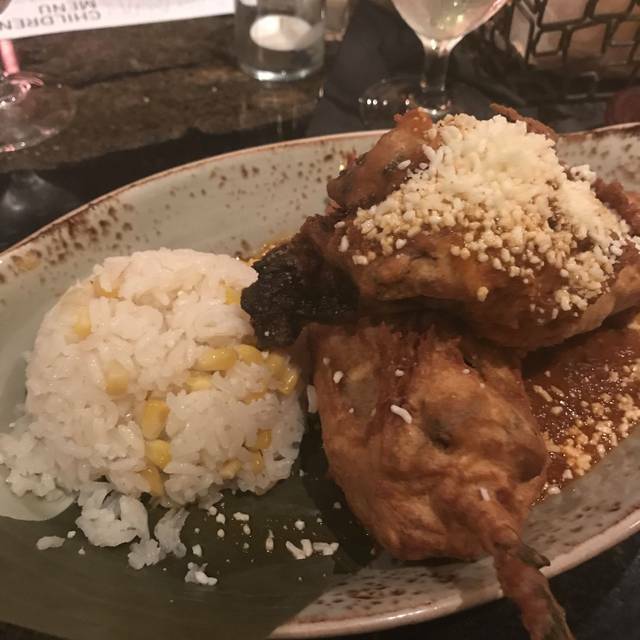 Went to Agava for the first time and would rate the restaurant as excellent. The decor is beautiful. Service and food were first rate. The owner/manager stopped by our table to see if everything was satisfactory. A nice touch which we appreciated very much. As it was our first time there, we tried to order many items to try out. About half were good and the rest wouldn’t be reordered. Enchilada soup very tomato tasting, pork taco had some salad topping that ruined the flavor and chipotle sauce tasted much like a thousand island dressing. Good made at table guacamole and salsa and paella mixta was great. Nice looking place and great service. Excellent steak fajitas and table side guacamole! Return to this restaurant often, and always good. Great experience! Manager is ALWAYS attentive and hands on for any issue! Great sign of good management! This is our go to restaurant for fajitas and margaritas! The food was fresh and the menu diversified.The restaurant was clean as well as the bathrooms. The only complaint was the temperature. It was freezing inside Not a way to enjoy a good meal. Had dinner there for the fifth time. The food and service were excellent as usual. The menu is diverse and offers many good choices. One in our group had never really dined in a Mexican restaurant and he felt the food he had was one of the best meals he had all season. Food EXCELLENT. Waitress very patient and friendly. Our granddaughter has many food allergies and our waitress was very patient and made it fun figuring out what she could eat. Coconut margarita she recommended was to die for!! What a fun evening and excellent choice!!! a enjoyable dining experience...it has become our "go to" for Mexican cuisine. Food was good. Staff was very helpful. Slowed and adjustment to our reservation time and called be back after we had left to let me know I had left my credit card. I really enjoyed this restaurant. My daughter and I were in Naples for a wedding and I happen to find Agave on yelp. The staff was very friendly, and prompt. The steak tacos with the fried cheese was outstanding, and the margaritas where delirious. If I am ever in Naples again, I will be back for sure. I would definitely recommend Agave to a friend. Solid Mexican food in a nice restaurant setting! Fajitas and quesadillas were delicious and the guacamole fresh. Best Mexican in Naples. Have a variety of other offerings for every palate. Great servers. We have been here before. The food was good and the service was good. It was a bit noisy. Our reservation was honored without any wait. The server was friendly and attentive. The food was tasty and hot when it arrived. The restaurant's owner stopped by our table to ensure everything was to our liking. It was a very enjoyable experience. 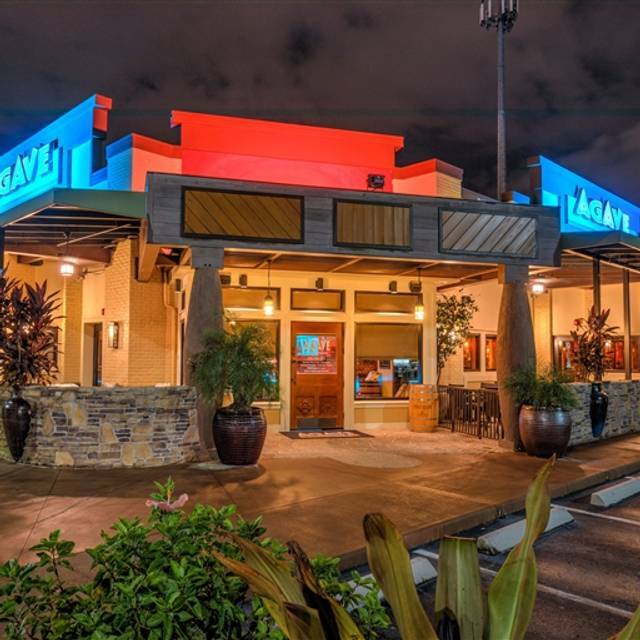 We will dine at Agave the next time we have a taste for Mexican cuisine. First time there. Will definitely go back. Fresh guacamole made at your table was excellent! Good prices especially for the Naples area. Have, because our service was terrific, the table side prepared guacamole was the best I’ve ever had. Had the taco salad with chicken for dinner. It was terrific!!!!! Service was slow -= and inattentive. Did not follow up to ask if I wanted a second glass of wine. I liked my chicken enchiladas....my husband who is gluten free - left feeling hungry after eating the cauliflower tacos. Tableside guacamole is nice, tasty - but kind of skimpy for the price. Overall - so so. The server was very attentive and the chips and salsa kept coming. We thoroughly enjoyed our dinner of guacamole, steak fajitas and chicken enchiladas. The margaritas were large and delicious. Portions were generous , which kept us from trying their deserts. This restaurant is moderately priced but the experience is above that. Our only complaint was that the AC level was set too cold. The noise level was just reflective of happy diner chatter. We will definitely return. Excellent food service and amvance. Hard to beat this place! Unfortunately we were looking forward to returning to eat at Agave. Our drinks were really good and the bartender very personable. Our reservation honored but the food was horrible. We had the chili relliano, one with cheese, the other with chicken. There was no chicken in mine, and one piece in my husbands. On top of that it was served with white rice, this is a Mexican restaurant, come on! Get with the program and serve food with a Mexican flair. We will not return. Food and cocktails are outstanding. Would highly recommend. We love Agave! Great food, great service. We had a wonderful meal!